Please complete this form and let us know which course you would like to attend. These courses fill up very quickly, so early booking is highly recommended. Do you have a medical condition(s) or a disability which may require special facilities or support? The total cost of the course is shown on our site. 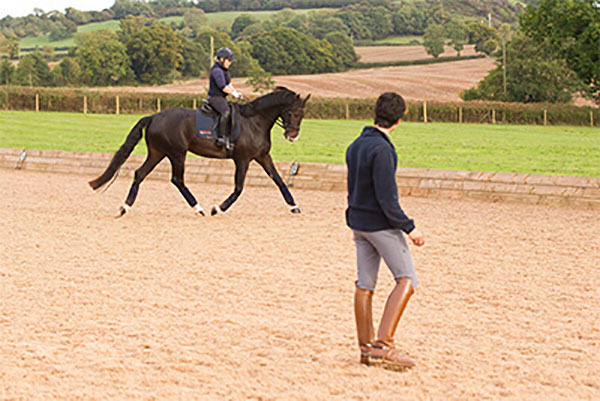 This includes all meals, lessons, stabling and rider assessment. If you would like your horse treated by Katherine Allard, this is an extra £40 and to be arranged with her whilst on the course. Please pay £100 deposit as soon as possible. This is non-refundable unless space is filled. Please note the full amount (£250 for 3 day courses) (£200 for 2 day courses) must be paid no less than two weeks prior to the start of the course. I confirm that the information provided on the form is both truthful and accurate. I have not omitted any information that could affect my acceptance on a Short Course. If you prefer, you can download and complete this form and return it to us by post.